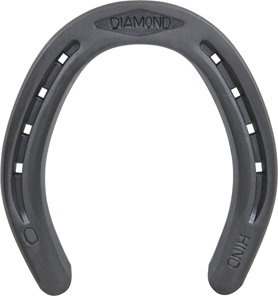 The Diamond Hind is designed to fit the majority of hind hooves with little to no modification. This shoe features accurately placed nail holes and a round heel cut for more fitting options. Shoes are symmetrical. Punched for City or Slim blade nails.